Dear music producer, there are many different ways to record music and there are 100 times as many people trying to tell you how to do it. 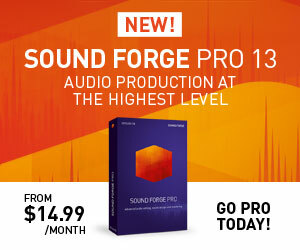 While this may mull over as just another voice in that crowd, I would like to offer an alternative solution to the never-ending question of which DAW (Digital Audio Workstation) should I use? Just about all over advice on this matter would suggest that you find one DAW and stick with it. Or even better, find the one that works best for you. What in the hell does that mean to some who is interested in beatmaking or just starting out? Most modern Digital Audio Workstations have a learning curve that outlasts the free trial. Since most workstations pretty much do all the same things with a different workflow, I suggest using multiple DAW’s. For instance, I use Reason for sound design, Acid Pro for anything dealing with audio loops and Pro Tools for recording. It would be easy to use just one but each one brings something different to the table. I use each ones strength to my advantage while bypassing its weakness and frustrating myself. I have developed a workflow that allows me to use 3 different DAW’s. The best advice I can give to anyone is: Develop a workflow and the music will make itself. Remove the technicalities from the process. I wanted to develop a quick note to be able to thank you for all of the pleasant advice you are writing on this site. My time intensive internet research has at the end of the day been honored with reasonable ideas to exchange with my co-workers. I would mention that most of us site visitors are unequivocally lucky to live in a fine website with so many special people with helpful pointers. I feel quite privileged to have discovered the weblog and look forward to many more pleasurable times reading here. Thanks a lot again for all the details.